The 15th assembly of governors from the two countries met in Moscow on May 3 to discuss developing relations at a regional level. Observers hope that such contacts may contribute to the development of political, cultural and economic ties, still marred by the territorial dispute over the South Kuril Islands. This issue, a matter of national prestige for Russia and Japan, is the most difficult in the two countries’ relations. The Soviet Union captured the islands from Imperial Japan when Moscow joined the other Allied Powers following the defeat of Nazi Germany. Moscow says that the islands were incorporated into the USSR as a result of the Second World War, and Russia’s sovereignty over them is indisputable. Tokyo calls the islands its Northern Territories and insists that they were occupied by the USSR. The two countries have never signed a peace treaty due to this dispute. Japan intertwines the signing of the peace treaty with the decision on the territorial dispute. 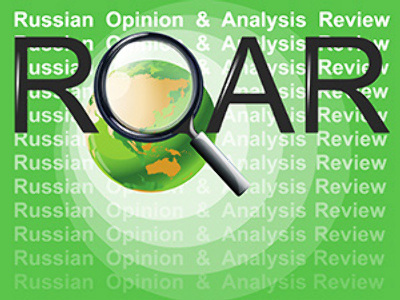 Analysts stress that the issue not only has a political dimension. The waters around the islands are rich in fish and biological resources. Many observers doubt that Moscow and Tokyo will be able to solve the issue soon and stress that the two countries should rather concentrate on developing cultural and political ties, including those at a regional level. In fact, the governors in Moscow avoided discussing the dispute. The meeting of the heads of Russian and Japanese regions was not the first one. Such discussions started in the 1960s and took place regularly till 1997, TV Center channel said. The tradition resumed last year when Prime Minister Vladimir Putin addressed the governors. This time, the importance of the event was underlined by the greeting that President Dmitry Medvedev sent to the participants. He considers interregional ties an “important and much-needed element” in the two countries’ relationship. They cover a wide range of fields “from economic co-operation to cultural exchanges and twin-city contacts,” he stressed. The relations between Russian and Japanese regions help to build the mutual understanding and “make our joint efforts to tackle specific social and economic problems more effective,” the president said. “It is very good to see that an ever increasing number of Russian regions, from one end of the country to the other, are becoming involved in this kind of co-operation,” he noted. More than 20 regional heads from Japan and Russia came to Moscow to discuss a wide range of topics. These meetings are helpful for the exchange of information, said Moscow Mayor Yury Luzhkov, who chaired the event. “Governors propose information about their regions to their colleagues, which helps to determine the directions of the co-operation,” the channel quoted Luzhkov as saying. “At the same time, some important proposals to step up economic co-operation and solve legal issues were made, and they will be handed to the leadership of the two states,” the mayor said. Japanese governors liked the appearance of the Russian capital. “I visited Moscow in the Soviet times, and I can compare what was then and what is now,” Wataru Aso, governor of Fukuoka Prefecture and President of the National Governors Association, was quoted by media as saying. “Today’s Moscow is much cleaner and more beautiful,” he said. The city may become better-looking after the governors planted 72 sakura trees, or Japanese cherry trees, near Moscow State University. 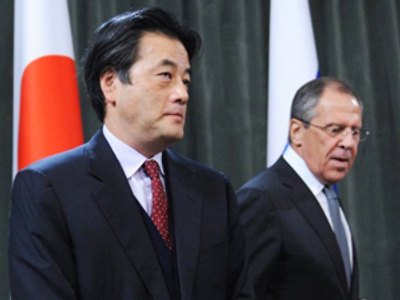 It is even more important that after the meeting in Moscow Russian and Japanese governors are continuing their talks. Vyacheslav Shport, governor of Khabarovsk Region in the Russian Far East, has announced plans to use the experience of Japan’s Tottori prefecture on the island of Honshu while creating a special economic port zone in the Sovetskaya Gavan port on the Pacific coast of Russia. The leadership of Khabarovsk Region is considering plans of co-operation with other Japanese prefectures, including Hokkaido. According to the presidential envoy in the Far East District Viktor Ishaev, who visited Japan in April, Japanese businessmen are ready to modernize the economy in several regions. 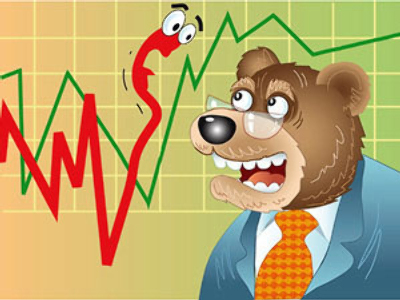 Investors are interested in projects in the Russia’s Far East, he stressed. During the meeting in Moscow, governors were able to present their regions and try to find new ways of developing mutually beneficial co-operation, Regnum news agency said. At the same time, such problems were highlighted as the work of the Russian customs and visa service, it added. Kamchatka Region governor Aleksey Kuzmitsky proposed to ease visa regime for foreign tourists, including those from Japan. He also stressed the need to organize direct air communication between Kamchatka Region and Japan, at least during a tourist season, Vostok Media news agency said. However, the Russian side also had complaints in the past over visa issues. 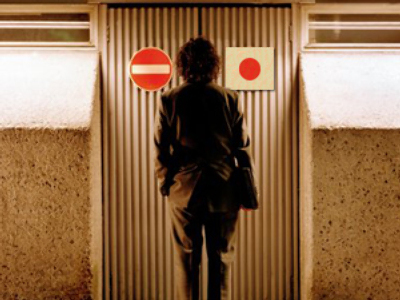 In November last year, Russian businessmen were denied visas to Tokyo. They were supposed to represent the region’s potential to Japanese political and business circles. The governors’ proposals were included in the final statement after the meeting. It also contains recommendations on modernizing the Trans-Siberian Railway and improving its work and proposals on promoting energy-efficient and ecological technology. The statement will be handed to the governments of both countries for making particular decisions, the agency noted. Governors were able to hold bilateral meetings. Aleksandr Khoroshavin, governor of Sakhalin Region, met with governor of Hakodate and Tottori prefectures for the first time. He meets with governor of Hokkaido regularly, the governor’s press service said. In the wake of the meeting in Moscow, governors of several prefectures are visiting Russia’s city of Vladivostok on May 4-6. Shinji Hirai, governor of Tottori prefecture and Primorye Region governor Sergey Darkin are expected to sign an agreement on friendship and co-operation, PrimaMedia news agency said. Contacts between the Tottori prefecture and Primorye Region have stepped up since the ferry line was opened in July 2009. In September that year, Hirai inaugurated the week of Tottori in the Russian region. The next meeting of the Russian and Japanese governors will take place in Tokyo, and Russia’s cities Tomsk or Kaliningrad will host the meeting in 2012. Many commentators do not expect any shift in relations between Moscow and Tokyo as the two countries are not going to change their positions in the issue. However the meeting of governors showed that particular steps in improving relations are possible at a regional level.